In this disarming story collection, a pet architect jeopardizes her relationship with her wife over a wild bird, a cement mixer helps a woman fulfill her dreams, a former model becomes a cult leader through social media, and a young woman searches for freedom and goes on a crime spree thanks to a basement full of $35,000 in coins. The characters in these funny and strange stories are populated by weirdos and misfits trying out new ways of being in the world. 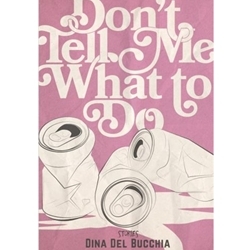 Dina Del Bucchia is the author of three poetry collections. This is her first work of fiction.